It may be a sad sight to see the lake so low, but it’s a well-visited area, even now as the boats sit in the parking lot of the marina. The draw? Under all of the water that is usually held back by Folsom Dam, lived an old mining community. As history would have it, the town was destroyed by fire in 1856 and was never rebuilt. The community completely dwindled after the California gold rush, leaving only a few families by the 1940s. 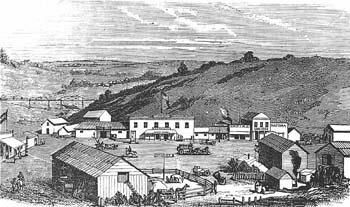 In it’s finer days, however, the population of the town was more than 2,500, and had four hotels, three dry-goods stores, five general merchandise stores, an express office, and many small shops. When Folsom Dam was built, all but the cemetery at Mormon Island – which was moved – was all but destroyed. With the current drought in the Sacramento area, the remains of the old mining community are now explored and photographed by hundreds. It is sad to see the lake so low! And, now there is very little water being let out into the American River, so that river is down quite a bit. 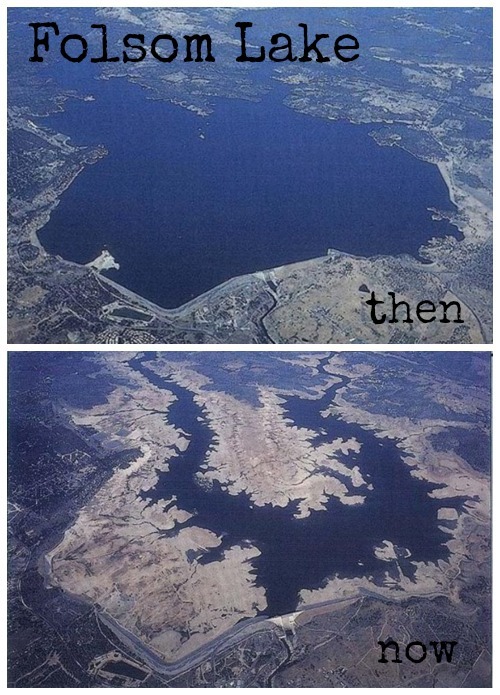 Talk on the news about water conservation in the Sacramento area. No sign of rain for the next week. Many prayers for rain needed! Our God is in control! Where around the lake should you go to see the remains of Mormon Island? I am interested to go see this, but I cannot figure out where Mormon Island is located in relation to the lake and where to go to access it. We went in through Brown’s Ravine, off Green Valley.